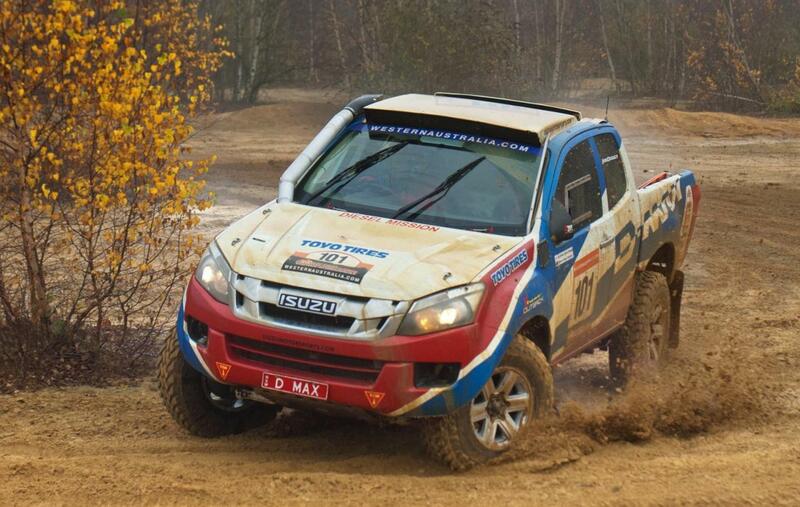 Isuzu officially presents today the rally version of D-Max, a model which will compete in the Dakar Rally competition. Scheduled to begin in January, the 35th edition of the Dakar Rally is said to be one of the most grueling races on earth. The new rally model is based on the D-Max 4×4 double-cab and benefits from a 3.0-liter turbodiesel engine. The power plant is able to deliver 242 horsepower at 4,800rpm and 589Nm of torque at 2,000rpm. The acceleration from 0 to 100 km/h is possible in 7 seconds also thanks to a five-speed sequential Hollinger gearbox. 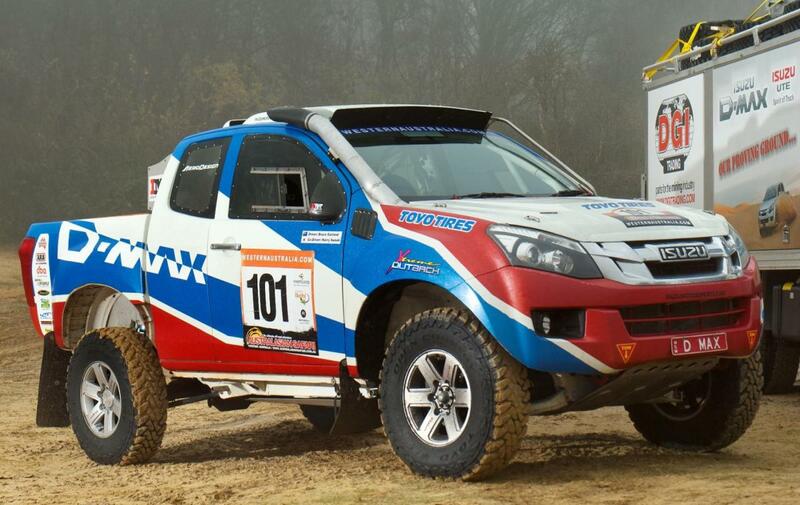 “The Dakar-ready pick-up has been enhanced to increase performance and to withstand the rigours of over 5,000 miles of arduous terrain, between Lima, Peru and the finish in Santiago, Chile,” says Isuzu. The Japanese pick-up model is fitted with 16 x 7-inch ROH Trojan wheels and beefier Toyo Open Country M/T-R tires. The total mass of 2,300 kilograms along with the good engine under the bonnet help the model to achieve a top speed of 190 km/h.